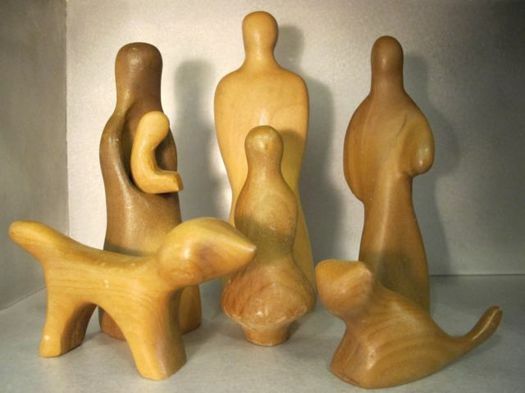 It's always nice to see an Antonio Vitali Creative Playthings family come up for sale on eBay. It's especially nice to see one come up with a superlow starting bid; it always makes for good action. And when the woodgrain conspires to produce a beautiful multi-racial family like this one, it just makes me want to pour out a celebratory bowl of Cheerios. May your bidding always be fast and furious, Vitali rainbow doll seller pigseatmorehumansthansharks! Wait, who what? These are so beautiful. They look like they would also be much appreciated by Waldorf practitioners. I have not heard of Antonio Vitali but will check him out.